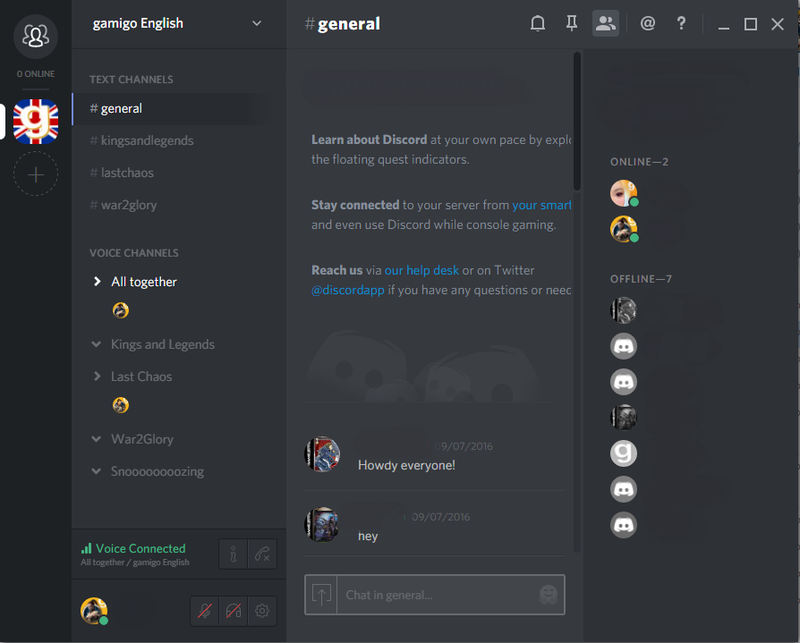 To use this chat program in the browser go here: Discord Browser Chat and click the button “Open Discord”. Once you’ve done this, it will take you to the login page. After this, you can set up the program to suit your needs. To do this go into settings. 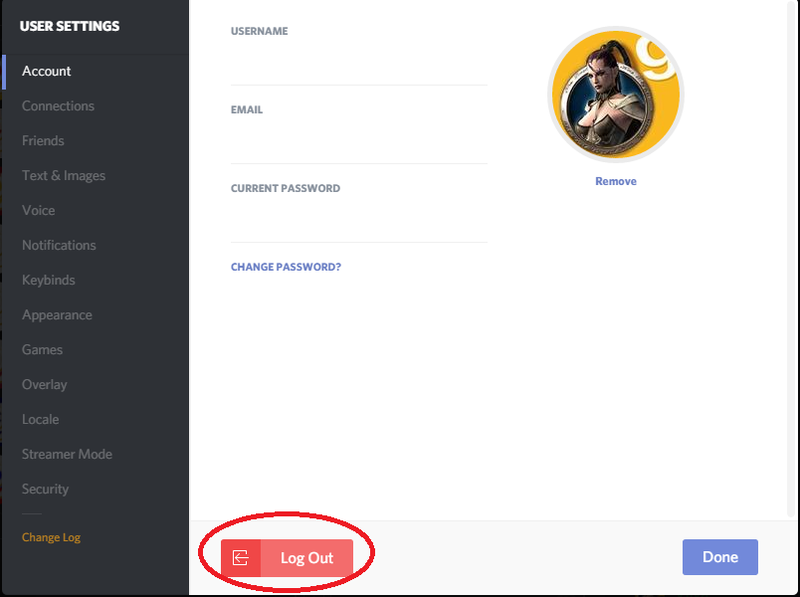 Account – Here you can change your username (please keep this as your current in game name), password, email address and avatar. Connections – connect your other programs such as Skype, YouTube, Twitter, and Steam. This will only show online applications. Friends – Choose who gets to add you as a friend. Text & Images – Choose how Discord handles emoji’s, text and external pictures or links. Voice – change your voice input and output devices and change your Push-To-Talk keybind. Please note that push to talk will only work if the browser tab with the chat is the main focus. Notifications – Choose what sounds to hear, how Discord notifies you of messages and more. Keybinds – Add Keybinds for Push-To-Talk and more here. Appearance – Choose how your program looks here. Games – Add your games you play in this handy list. Overlay – Overlay is used while in full screen gaming mode, so you can see who is talking. Please be sure to read the article listed so your anti-virus doesn’t lock you out. Locale – Choose your location, and even choose to assist with translations if your language is not listed! Streamer Mode – Discord even works with your streamer programs by allow various options. Security – Enable two-Factor Authentication for account protection. Change Log – Patch notes for what’s been changed. Pretty amusing reading, most definitely not your normal patchlog! 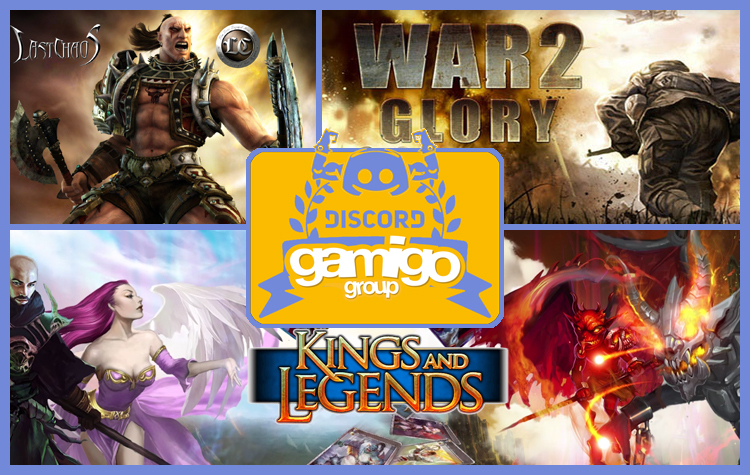 Now, use an invitation link either by gamigo staff or friends to access the chat and voice rooms! Once in, you can move around to the various rooms and voice channels and make some pretty awesome friends! Click a chat room to move from the current room to that one. You will be able to chat with anyone online in that room. Move back and forth between rooms as often as you’d like. Click from Voice Chat to Voice chat in the same way. While in the voice chat room, you will be able to mute your microphone and speakers when needed. User toolbar is located in the upper right hand corner of the webpage. Bell icon – This mutes the entire program and all chats. You will not get notification when this is set to mute, unless you have @mention on. Pin icon – This icon is used when you have pinned important messages in the chat. To pin a message, mouse over the message and a cog icon will appear to the right of it. Click that to pin the message. This pin icon will show you all your pinned messages. People icon – Pressing this icon will turn the chat list on and off. @ icon – For use to see all recent @mentions for your chatname.
? icon – Help list to assist you with parts of the program you do not understand. User Chat list is to the right side of the chat room. You can right click the user to obtain various settings for them. Turn individual user volume up or down as needed. Send user a private message. Add a note to the user for your own benefit. Mentioning the user will send an @username message in the chat alerting them to your speaking directly to them in the chatroom. Mute completely mutes the user in the room. Block will block the user from messaging you, or chatting with you. Add friend will add the user directly to your private friend list. Profile will show you the users profile information. On this page, you will be able to access the Windows, Mac, iOS and Android downloads. Pick your poison and get ready to install! Once installed and updated, you can set up the program to suit your needs. To do this go into settings. Connections – connect your other programs such as Skype, YouTube, Twitter, and Steam. Voice – change your voice input and output devices and change your Push-To-Talk keybind. User toolbar is located in the upper right hand corner of the program. _ icon – Minimizes the program to your toolbar. Box icon – Enlarges the program to full screen. Links to our Chatrooms, you are free to join any or all. All posted rules and Terms apply to use of our channels. We look forward to meeting you all.